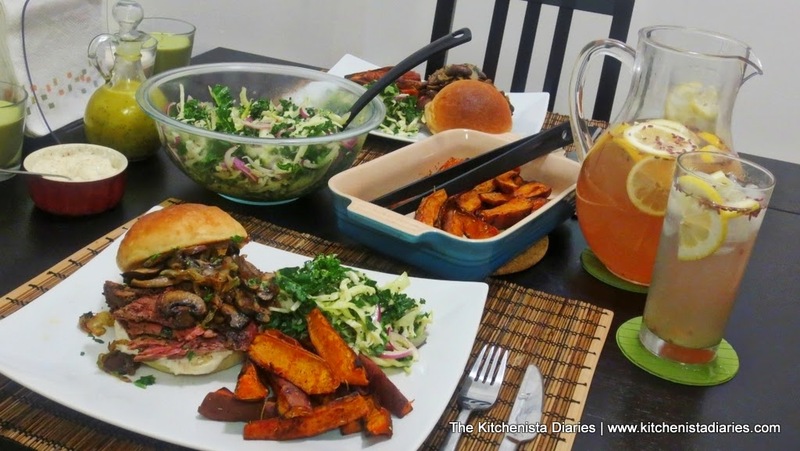 Today's post was inspired by the holiday season and the ever so tricky task of cooking healthier dishes that still appease everybody at the dinner table! 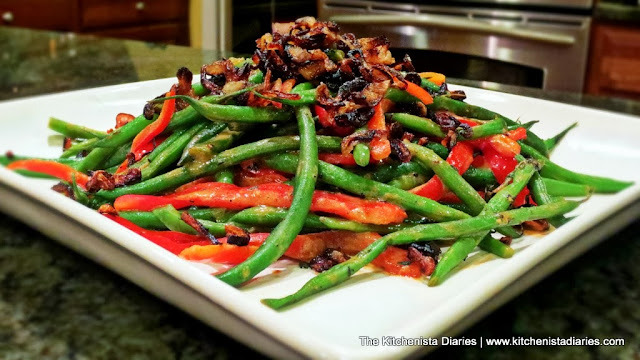 Soul Food Therapy asked me to join their blog carnival featuring healthy dishes this holiday season, so I thought a lovely plate of fresh green beans and red peppers were perfect for the occasion. My father and I had quite the lengthy debate this week about including old fashioned green bean casserole on our Thanksgiving menu - yes, that disgusting soupy mess covered in fried onion crumbs. I was appalled, to say the least. 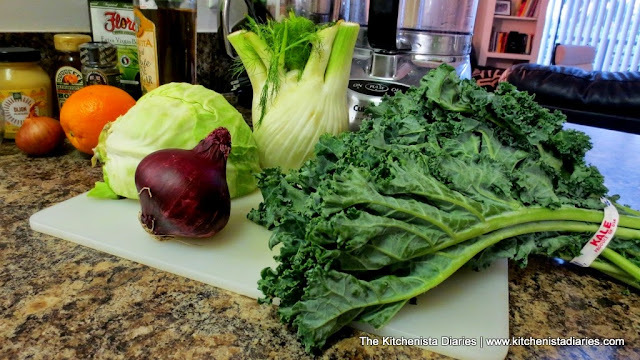 With all of the breads, starches and sweets we end up shoveling into our bellies that day, the last thing I want to do is drown my veggies in a thick cream sauce. In the end, I won that battle and also succeeded in convincing him that we don't need marshmallows baked on top of our sweet potatoes. But are you ready for my most surprising win this week? We're adding brussel sprouts to the menu! 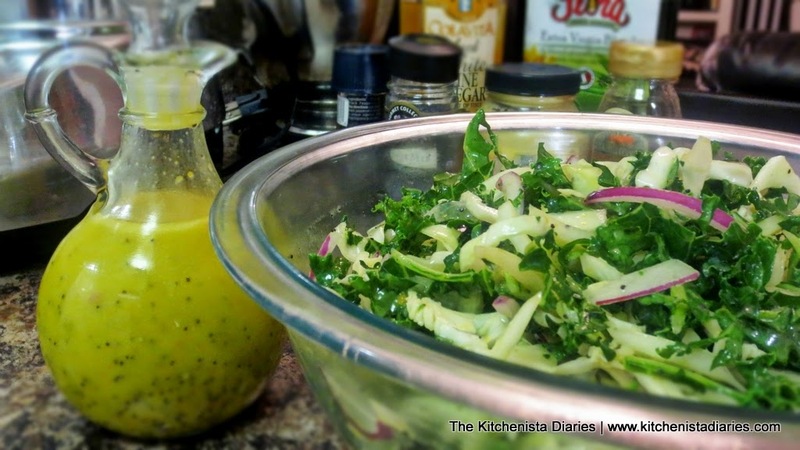 I've been trying to convince everyone that a salad would be an awesome change this year, but they were skeptical. Well, I cooked a warm brussel sprouts salad for a dinner party this weekend and my dad thought it was great. Veggies are winning over here! Back to these green beans though. Call them Haricots Verts if you'd like to be fancy, or French green beans depending on where you buy them. Don't confuse these with French cut green beans, which are just regular string beans sliced thinly and usually come canned. Haricots Verts are my favorite type of green beans because they are so much faster to cook and don't need to be trimmed. They're long, skinny, and cook to crisp tender perfection in mere minutes. If you buy the microwavable steamer pack from your grocery store, you don't even need to take out an extra pot to blanch them first. Toss these babies in a bright sauce made with white wine, dijon mustard and fresh thyme, topped with crispy shallots, and you've got a winning dish on your hands. 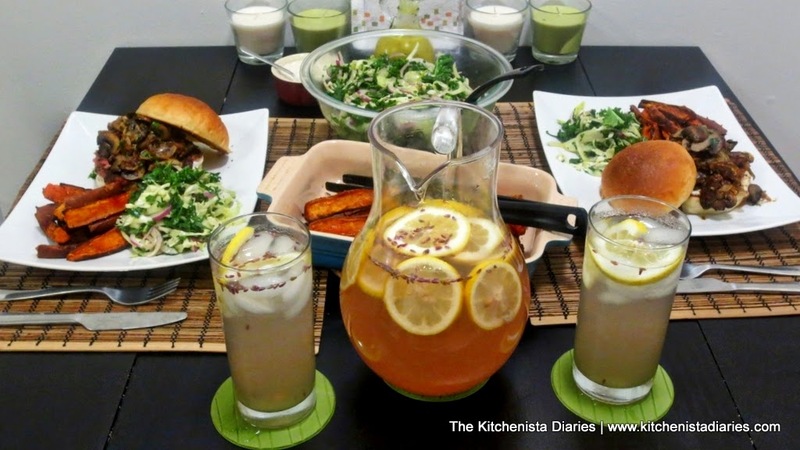 I used some leftover Riesling from my dinner party because I thought it added just the right hint of sweetness with the mustard, but any dry white wine you have will also do. 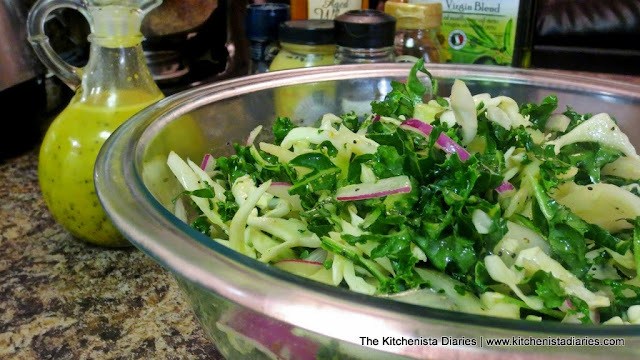 This recipe can easily be doubled or tripled for a Thanksgiving crowd, and the leftovers make a great cold salad the next day. 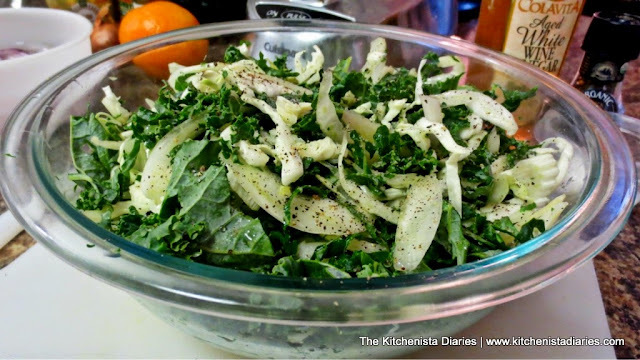 I hope that you'll consider adding this fresh side dish to your menus this year! 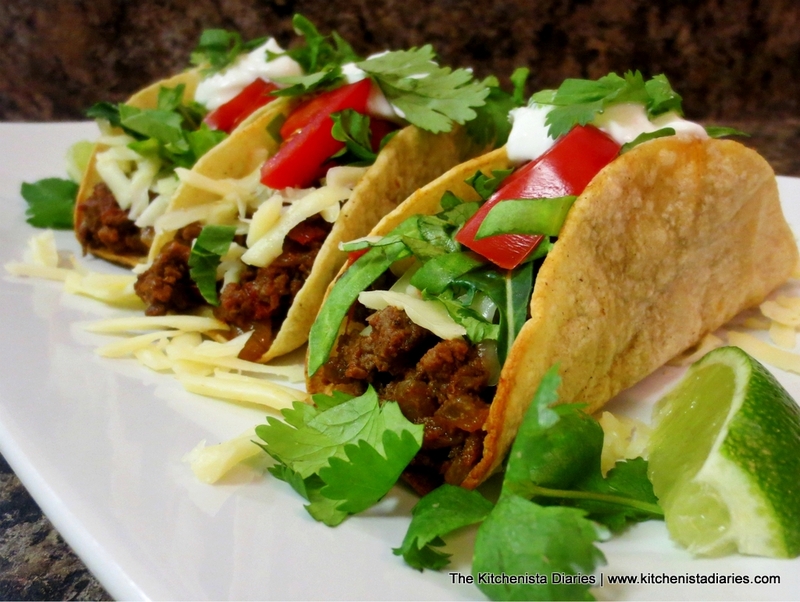 You know what I like most about this recipe? I already had everything in my fridge or pantry. 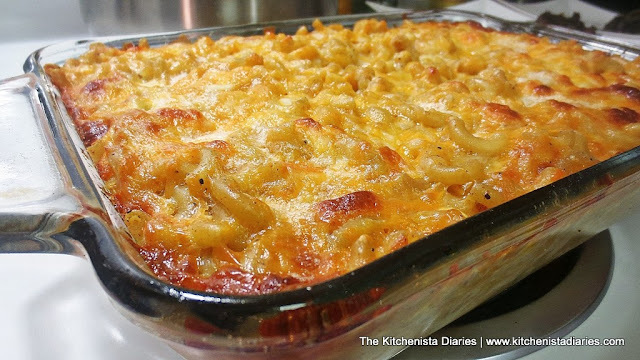 If you cook a lot this time of year, you probably do too. 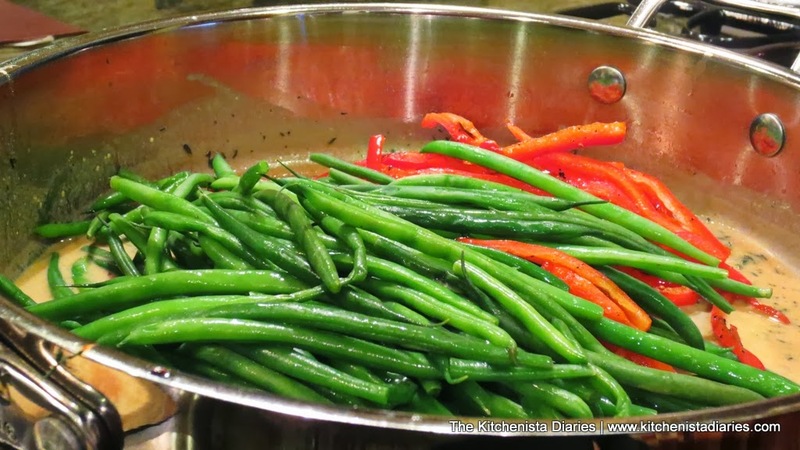 First step is to either steam your green beans or quickly blanch them. To steam, follow the directions on your microwavable bag, or use a large pot of water fitted with a steamer basket. 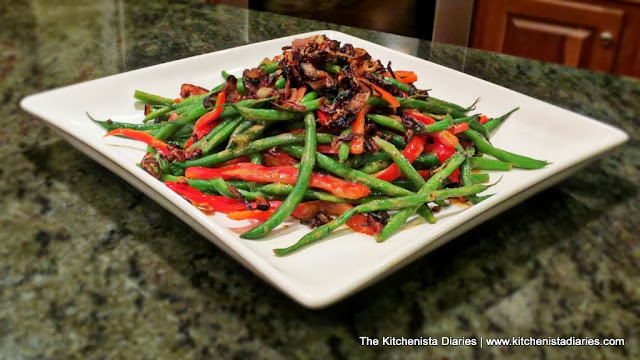 Season the green beans with a pinch of kosher salt and steam until crisp tender, 3-4 minutes. Alternatively, to blanch the green beans, drop them in a pot of boiling salted water for a couple minutes until they are bright green and crisp tender. Over medium heat, add the olive oil to your pan and throw in those sliced shallots. You'll want to keep an eye on them as they soften and start to brown rather quickly. See what I mean? 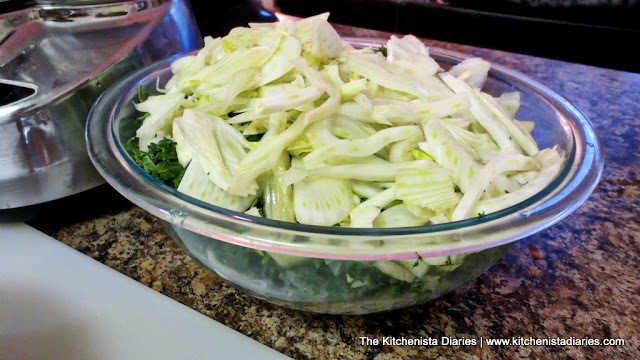 Another minute away from the stove and I would have had to toss this batch and start over! 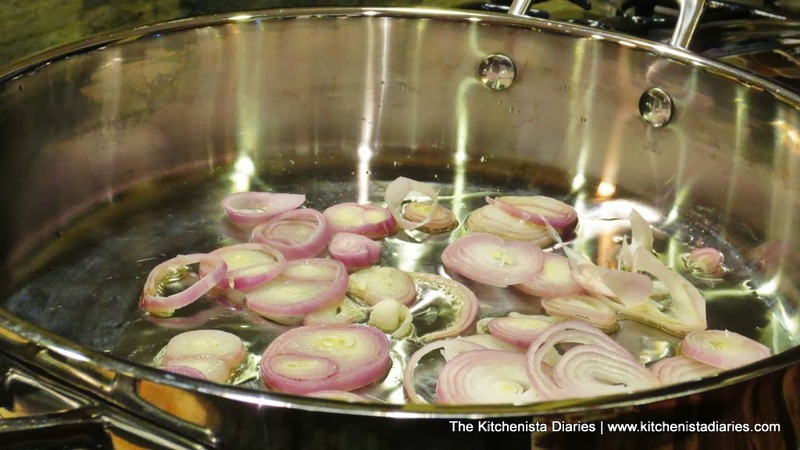 Cook your shallots just until they are deep golden brown and crispy, about 3-4 minutes. Season with a small pinch of salt. 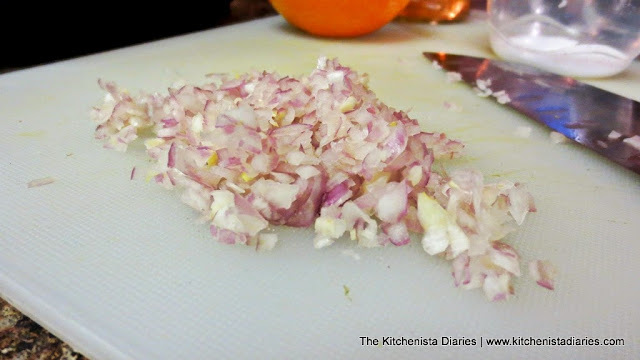 Scoop out the shallots and set aside. 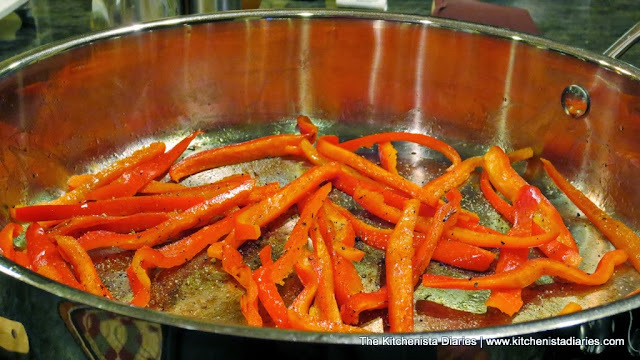 Add the sliced red bell peppers to the pan and saute those a couple minutes until they soften up. Season with a pinch of salt and some cracked black pepper. Around this time Jaden usually smells something going on and comes begging like a puppy for bell pepper scraps. That kid loves eating bell peppers. 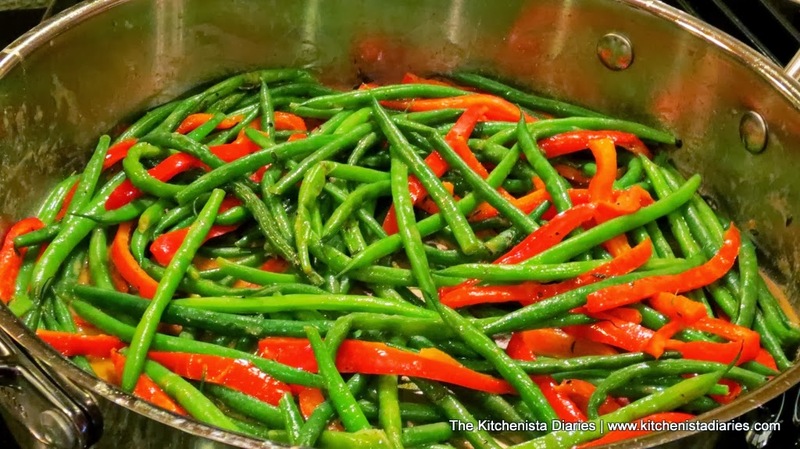 Remove the bell peppers from the pan and set them aside with your steamed green beans. Pour in some Riesling wine to deglaze the pan, and add to that the dijon mustard and thyme. 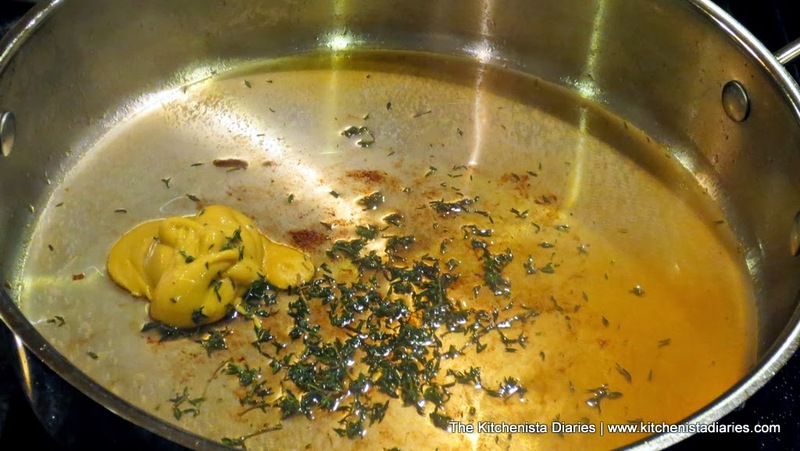 Give everything a good stir to loosen up any brown bits at the bottom of the pan to release all that flavor into your sauce. Let the sauce cook for a minute or so, then stir in a couple pats of cold butter (or Earth Balance® for vegans out there.) Season with plenty of cracked black pepper and a pinch of salt. Throw those green beans and peppers back in. 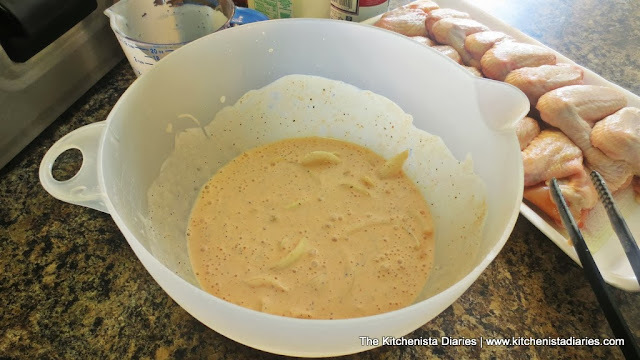 Toss gently into the dijon sauce so that everything is coated. Heat just until the green beans are warmed through as they should already be tender. Season to taste with a little salt and pepper, if needed. Now squeeze some lemon juice over the top for a final touch. 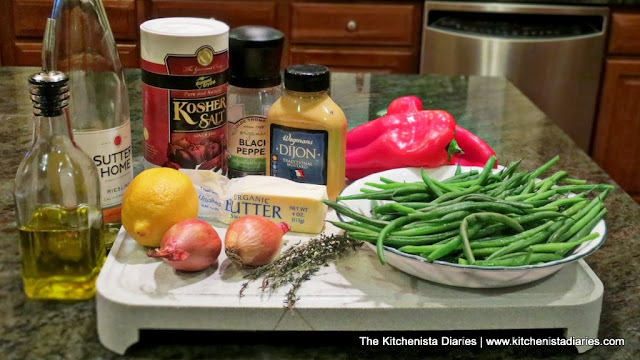 Use tongs to transfer your green beans to a serving plate and drizzle with any remaining dijon sauce. 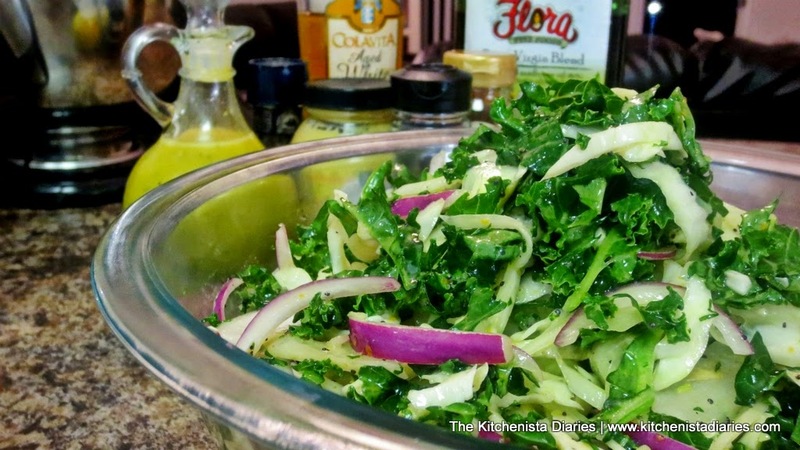 Top with the crispy shallots and you're good to go! How beautiful is that plate? We're serving this for Thanksgiving but the colors are perfect for Christmas too! My dad was sold on the first bite and I know our dinner guests will be too. Greetings, and welcome to all of my new readers! I'm happy to get back to blogging today and even more excited about the recipe I'm ready to share. I had an amazing, interesting, and/or overwhelming summer, depending on how you look at it. 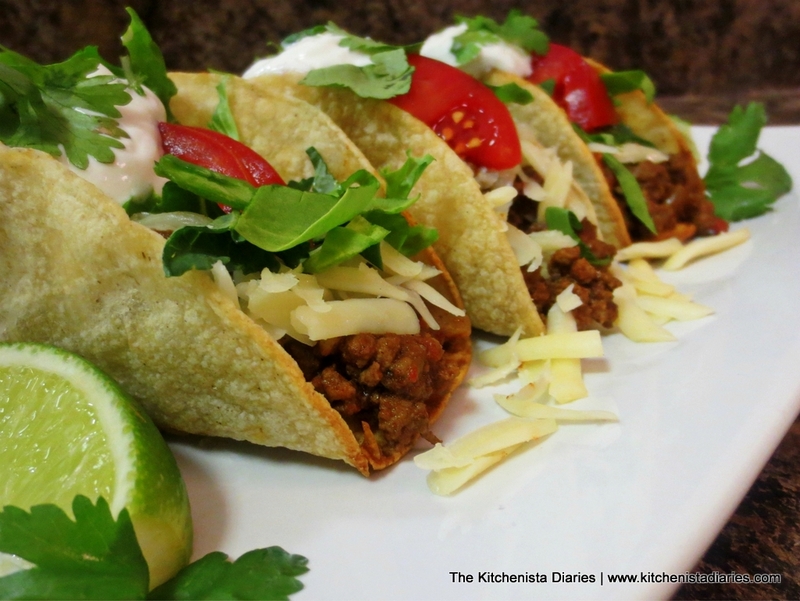 On the cooking front, I've been quite busy in the kitchen these last couple months. 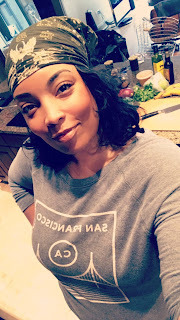 I had the pleasure of cooking for so many of my friends and family this summer between cookouts, dinners, visits from out-of-towners and holiday gatherings. And in my never-ending quest to acquire new skills, I got plenty of practice with my new KitchenAid stand mixer, perfected my buttermilk biscuit recipe, learned how to use a deep fryer, got an awesome gig cooking for Chad 'Ochocinco' Johnson, and joined a MasterChef Cookalong with Jordan Roots via Google Hangouts! 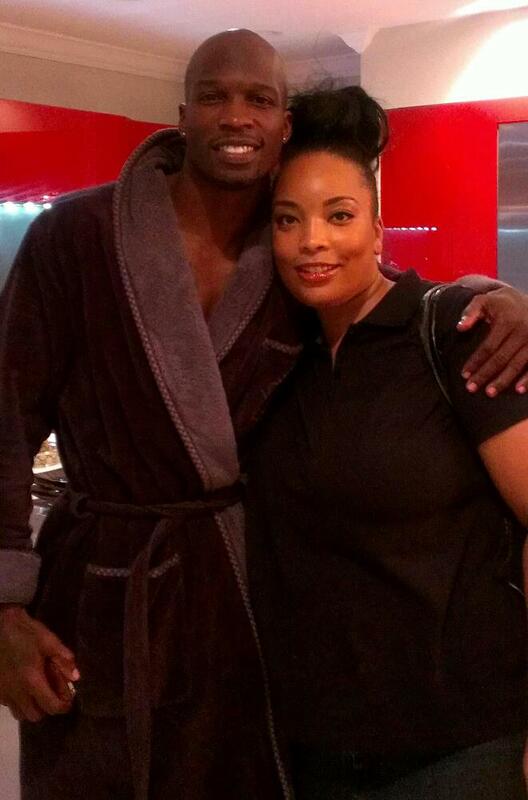 My first client as a personal chef in South Florida - Chad "Ochocinco" Johnson! On a personal front, all signs have slowly but surely pointed in the direction of heading back home to Virginia. As of last week, my ten year career in construction accounting has unexpectedly come to an end. Although it is never easy leaving a job that very much became part of my identity over the years, I'm looking forward to the opportunity I now have to focus full-time on making my culinary dreams reality. To do so will require much more of a support network than I have down here in South Florida, so I am looking forward to getting back home to my family and friends in Northern VA later this fall! 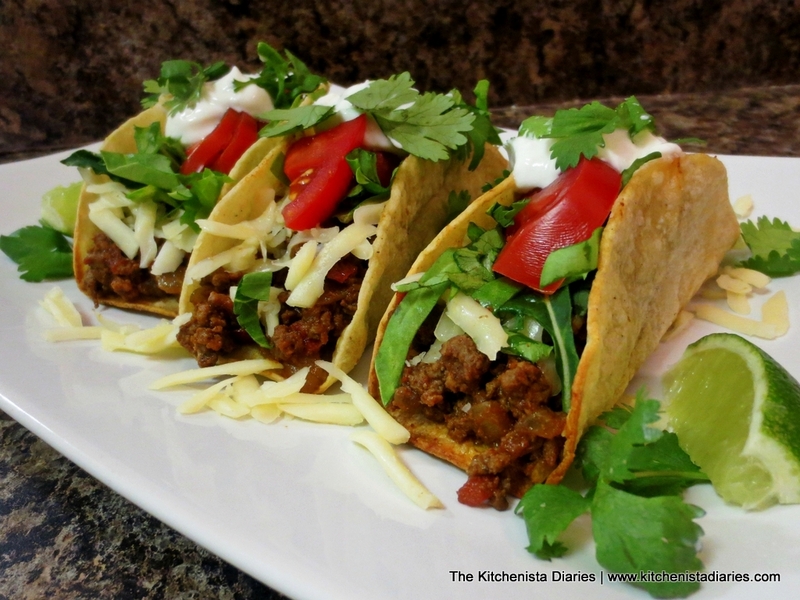 I cannot wait to let everybody know when "The Kitchenista" is officially open for business. Now about this recipe. What better way to celebrate a return back to the DMV (DC, and the metro areas of Maryland & Virginia) than a classic pairing of fried chicken wings and Mumbo Sauce? For those who haven't experienced the heaven that is dipping a hot crispy chicken wing into that sweet, tangy red sauce that is original to DC, I implore you to get your hands on a bottle from Capital City Mumbo Sauce. Arsha Jones, owner of Capital City, was kind enough to send me a couple bottles to experiment with and believe me I've had fun doing so. 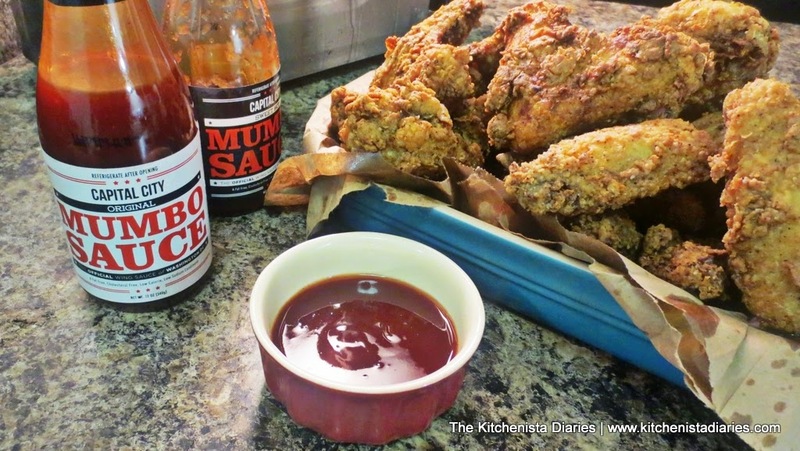 Besides a dipping sauce, Mumbo Sauce makes a great accompaniment to your favorite meats and even fish. 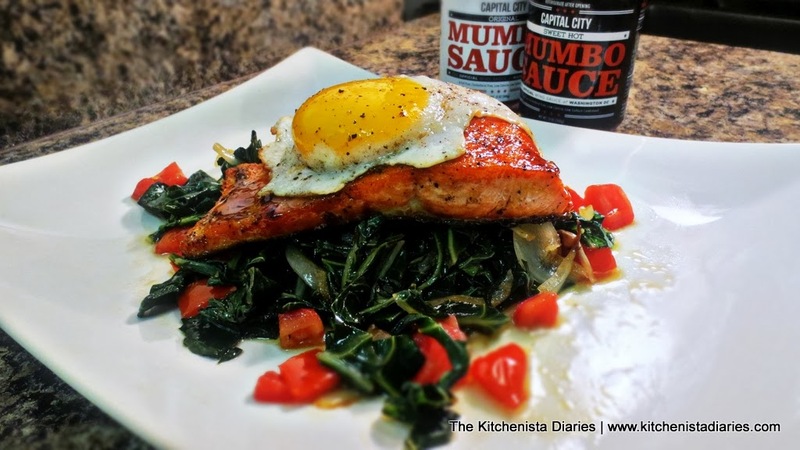 My favorite new way to enjoy it was as a glaze for seared salmon! Thanks to an awesome fish taco dish I cooked in the MasterChef Cookalong, it was necessary for me to pick up a small deep fryer as the latest addition to my kitchen equipment. I know, I know...quite a dangerous temptation to have sitting on the counter but so far I've managed to limit the frying to special occasions this summer. Naturally, chicken wings had to be made. The great thing about wings is that you get all the benefits of crispy fried chicken in much less time and with far less cleanup than frying a whole chicken requires. 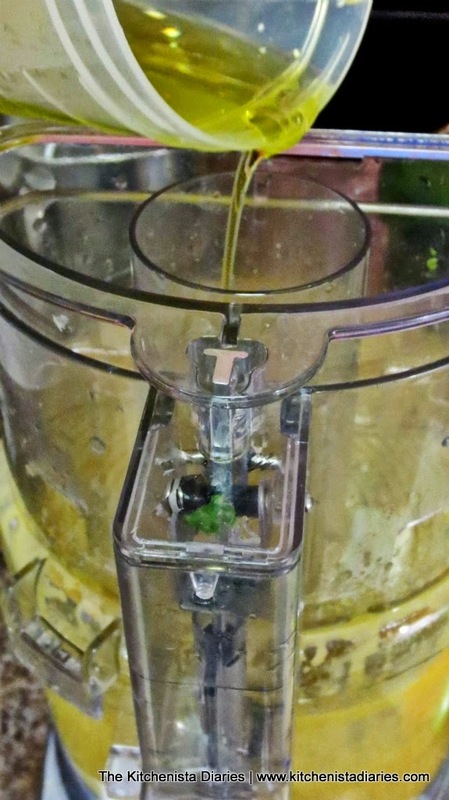 The small Hamilton Beach deep fryer I picked up was inexpensive (just about $40 on sale), painless to set up, and fits comfortably on my kitchen counter. It came highly recommended from one of my Twitter followers, and I have to agree it was a decent buy for a novice like me. The only minor criticism I have is that the basket is quite shallow, so you are limited to fairly small batches when frying. That said, I've successfully fried fish, frog legs and chicken wings so far with ease. 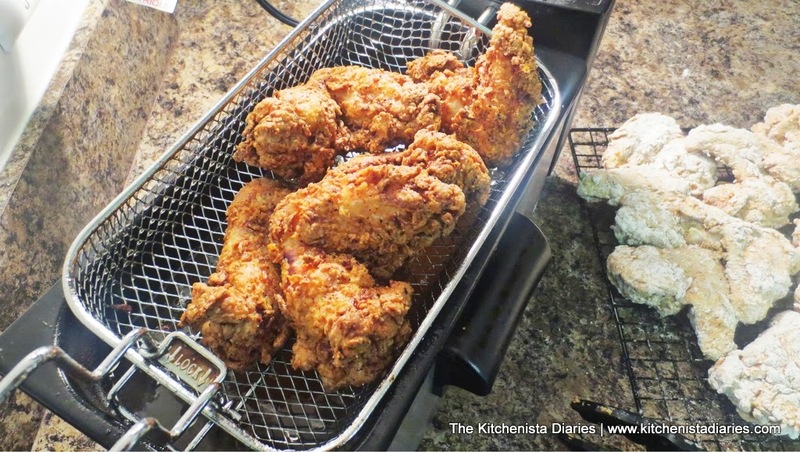 If you aren't looking to add a deep fryer to your kitchen, you can definitely execute this recipe in a large heavy cast iron skillet or Dutch oven pot. Just be sure to monitor the temperature of the oil using a deep fry (or candy) thermometer. 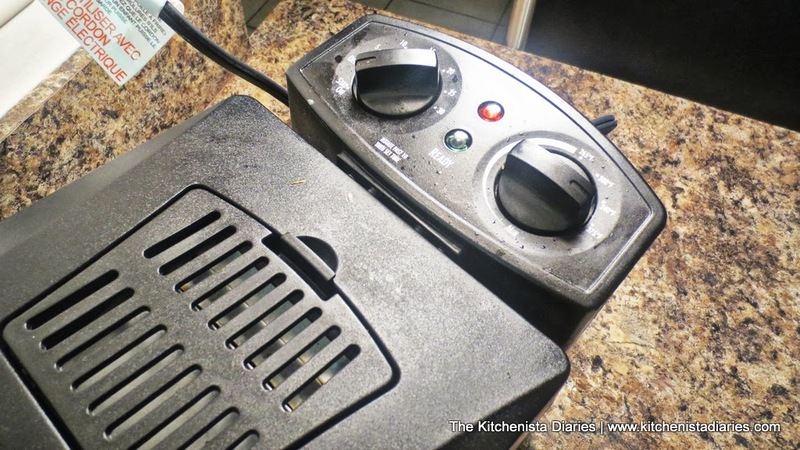 I was hesitant to add another piece of equipment to my collection, but I must say that even if you only plan to fry a few times throughout the year, a small deep fryer is a worthwhile investment in getting the job done properly and easily. 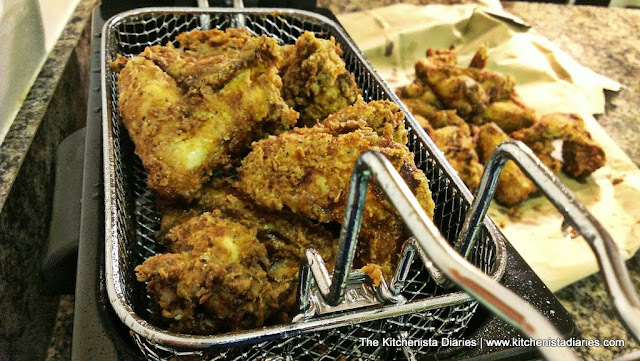 My only warning to you is that once you realize how easy it is to fry wings on your own, you're going to want to fry everything. 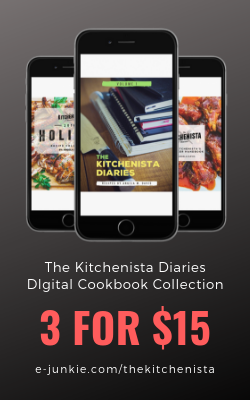 Don't be that cook. I still stand by my goals in healthy cooking with the occasional indulgence...this would obviously be one of them. 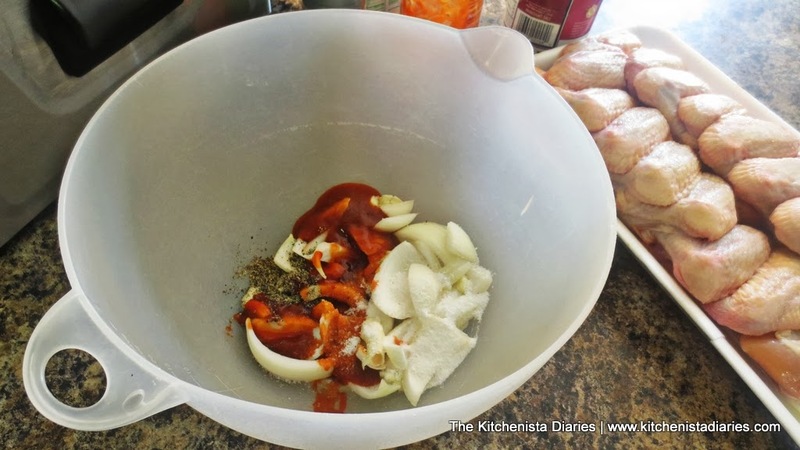 Start out with combining the chopped onions, crushed garlic, hot sauce, salt and pepper in a bowl that will be large enough to hold your wings while they marinate. You can add more or less hot sauce depending on your desired level of heat. Same for the amount of cayenne in the seasoned flour later. Add the cold buttermilk and stir to dissolve the salt well. Depending on how much hot sauce you used, it'll turn a weird pink color that reminds me of Thousand Island dressing. I hate Thousand Island, so this part grosses me out a little. 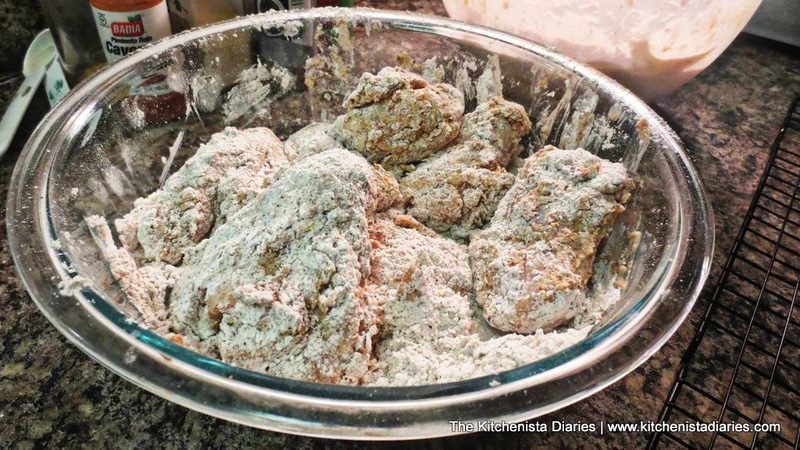 Add the chicken wings and be sure they are all coated well in buttermilk. Now, this is completely up to you but I prefer to snip off the wing tips whenever I cook wings. 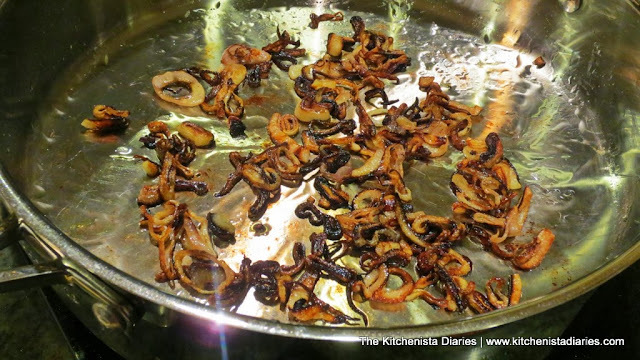 Use them for stock or throw them out; personally I find them useless on a cooked wing. The wing tips tend to cook much faster than the rest of the wing, so if you do choose to keep them it's wise to tuck them under the leg before you fry. 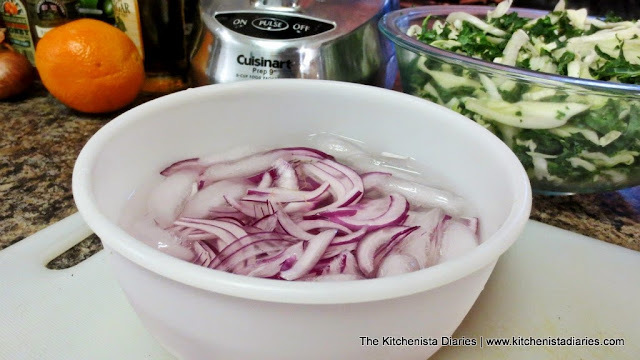 Cover the bowl and return to the fridge for at least two hours, up to four. 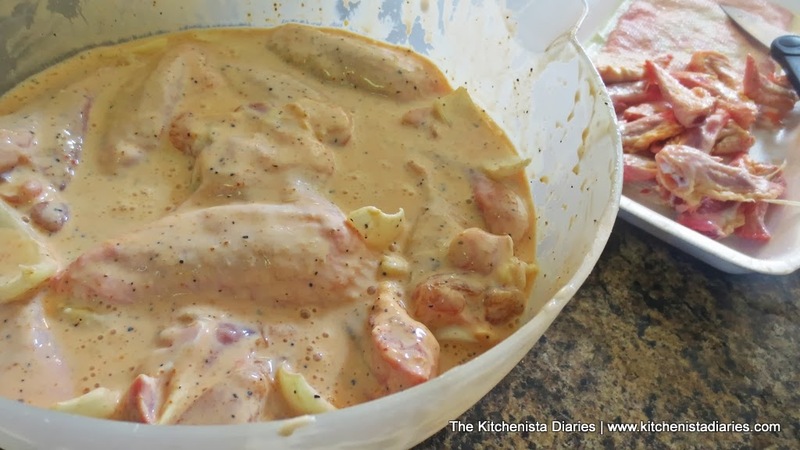 The buttermilk and salt will tenderize the chicken and all those other flavors will impart some extra deliciousness into the meat. Meanwhile, turn on your deep fryer and get the oil heating to 375°. Peanut oil is fairly expensive but has a really high smoke point and adds a nice flavor to fried chicken. 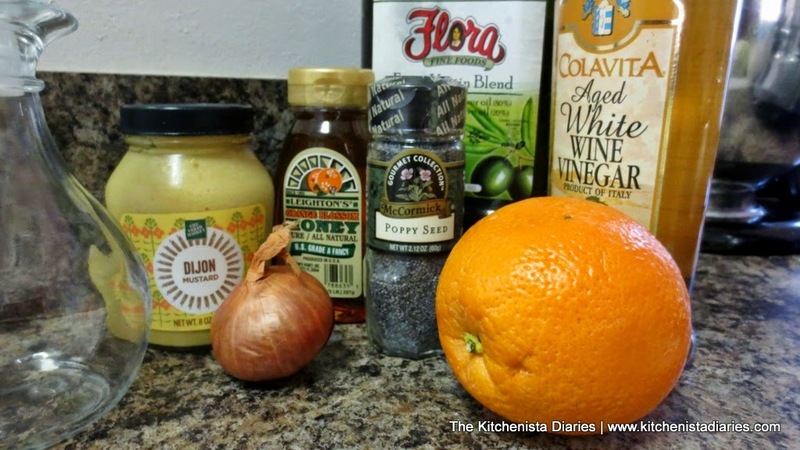 My other favorite is grape seed oil. 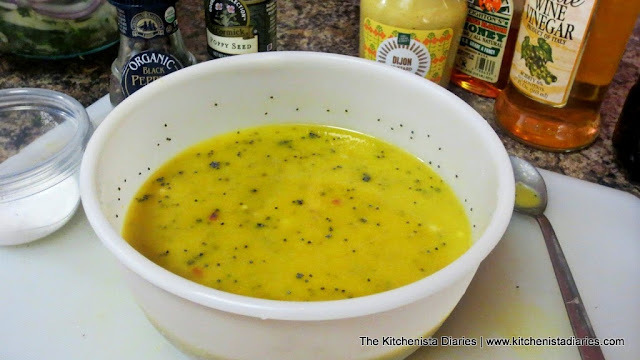 Unfortunately it's about the same price, however it's a healthy oil to cook with and has almost no flavor. I'd describe it as a "cleaner" taste when frying chicken if you're a purist. 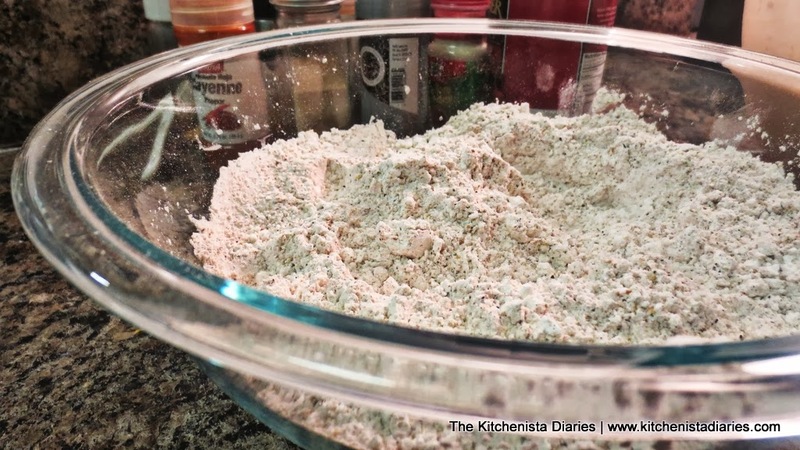 Prepare the seasoned flour by whisking together the flour, baking powder and all seasonings. My preference is White Lily flour for a light, crisp crust on the fried chicken. It's the same flour I recommend for biscuits, pancakes, and most other baked goods. 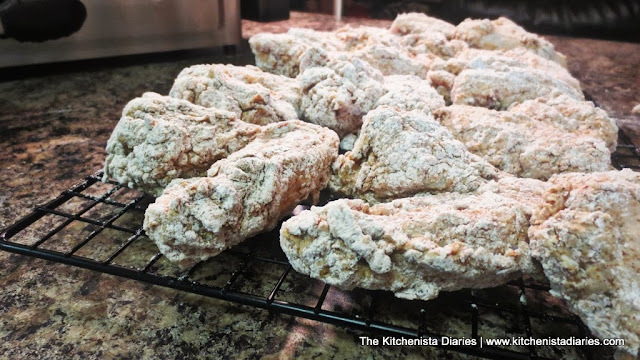 This might seem like a lot of spices and salt to add to the flour, but you really want to make sure the coating of the chicken is flavorful and properly salted. When your chicken has had plenty of time to marinate, it's time to dredge. I don't usually have paper grocery bags on hand so I just add a few wings at a time directly into the seasoned flour and turn them to coat well. 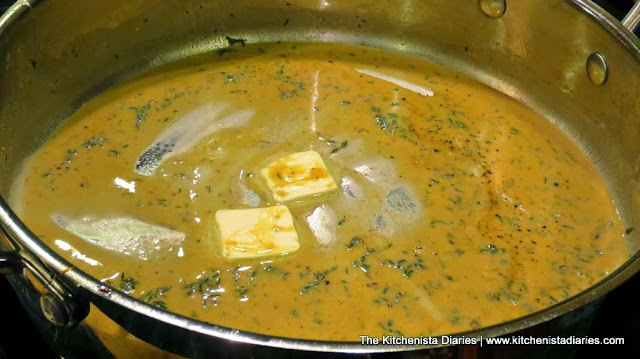 Shake off as much of the buttermilk marinade as you can before adding to the flour. If you want to do it in a paper bag, just add your flour, several wings, and shake to coat. Place each batch of dredged wings on your wire rack as you go. They should sit for about ten to fifteen minutes before frying. If you're in a rush, skip the resting time, but I've gotten better results allowing the flour to soak up that buttermilk. 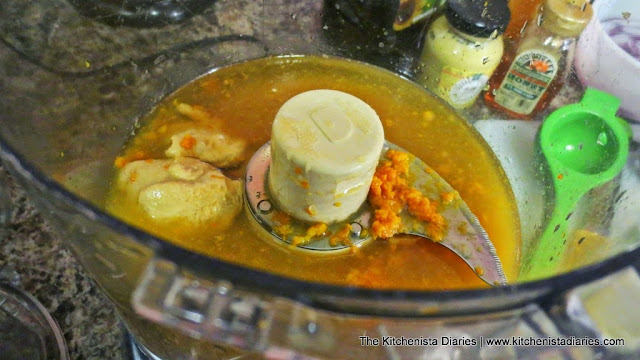 In small batches (I do 4 or 5 wings at a time), carefully drop the chicken wings one by one into the hot oil. 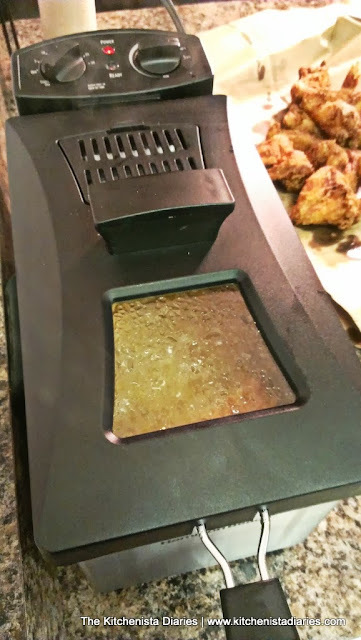 Use proper safety precautions for your deep fryer, to include closing the lid if available. This one has a nice vented lid with a window to monitor progress. The wings will need to fry about five minutes at 375° to ensure a crisp golden crust and to cook the meat all the way through. The good thing about a deep fryer is that it regulates the oil temperature and keeps it constant throughout cooking time, as opposed to a skillet or Dutch oven which require a little more manipulation. Set a timer so that you don't lose track of time, and check the wings half way through. 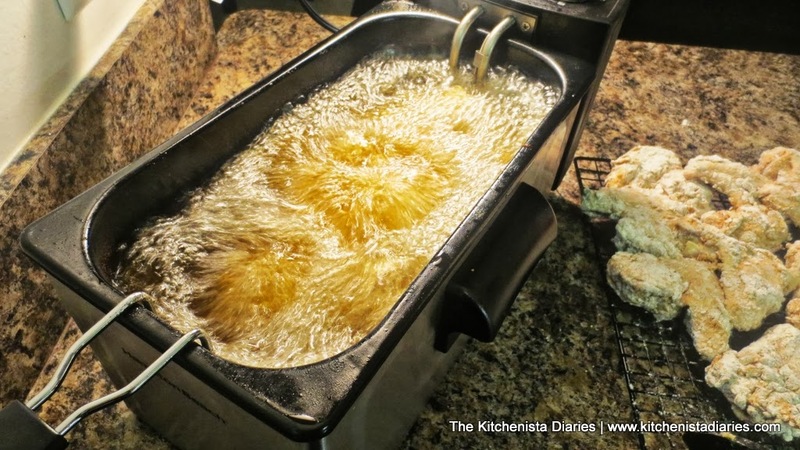 When the chicken wings are golden brown and finished cooking, carefully raise the deep fryer basket to drain excess oil. Turn the wings out onto paper towels or brown paper to absorb oil, and lightly season with a pinch of salt while still hot. 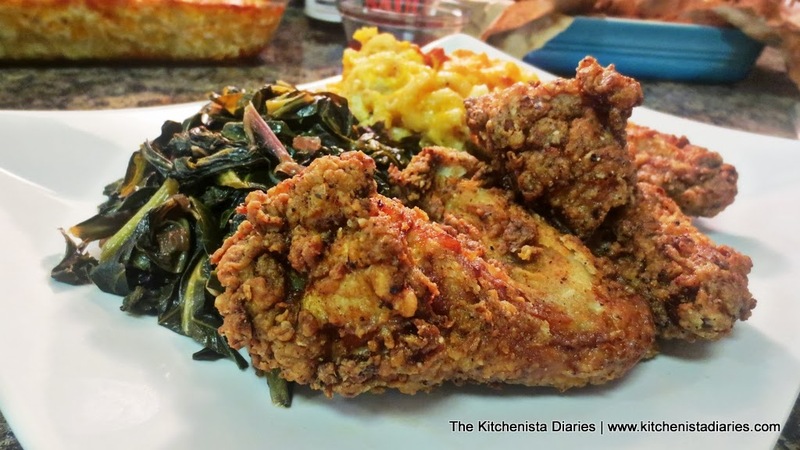 Continue with remaining batches of chicken until you're done frying. Good luck making it to the table! We devoured a good portion of wings standing right here at the counter. My favorite version of Mumbo Sauce is definitely the Sweet Hot, as you can tell by the almost empty bottle! 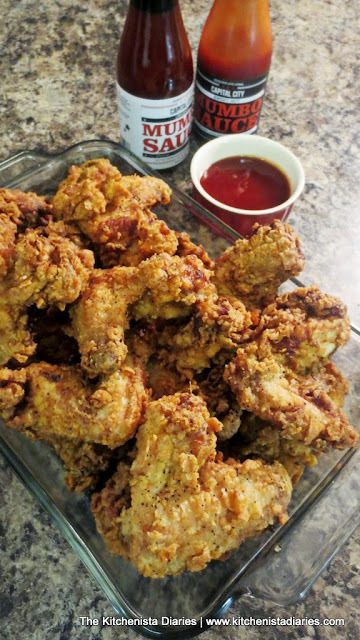 The wings are deliciously seasoned and crispy with tender meat that falls off the bone. Who can resist? And because this was an extra special occasion (Jaden's first day of school) I agreed to whip up his favorite...homemade mac and cheese. 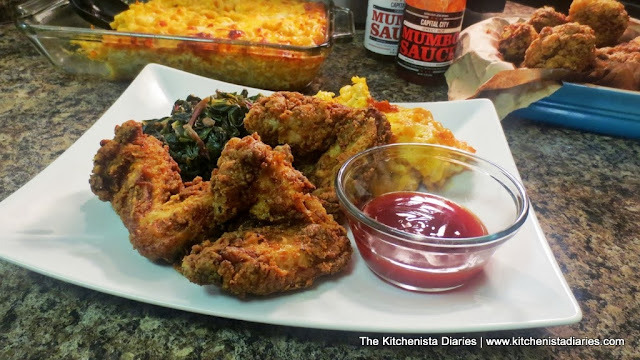 Well if you're going to make macaroni and cheese and fried chicken, you have to get some greens on that plate too! I sauteed some fresh organic collard greens and red kale with onions and garlic for a delicious healthy side dish alongside my chicken and mac & cheese. Mmmm...the soul food trifecta. Enjoy y'all....and don't forget that Mumbo Sauce!